Slices is the new, backwards-compatible API introduced as part of Android P. It enables a single and consistent way for apps to present their content and actions across Android and Google surfaces, through developer-customized templates. 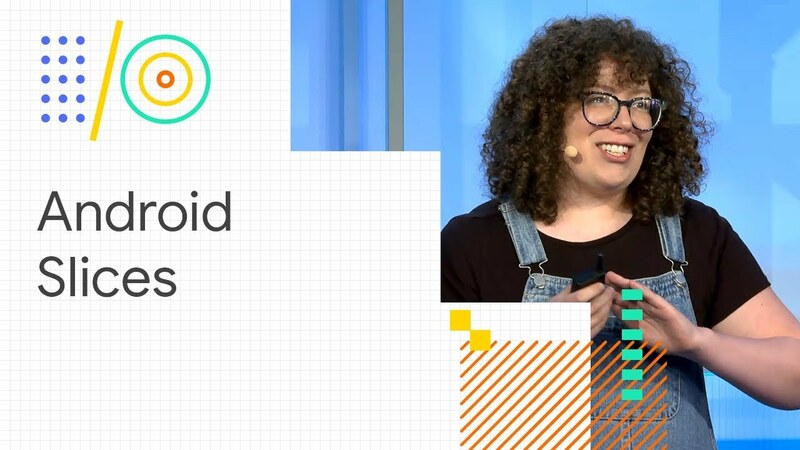 This technical session will discuss building Slices and cover everything you need to know to have them appear as interactive results suggestions in Google Search on Android. This includes a live coding session with a sample application. 1. About 13:10 Are Slices as flexible as Widgets? 2. About 14:58 , does this mean we have to provide all types of slices : shortcut, small, large ? What is happening on the slide at 9:50 ? That code starting with getContext() makes no sense. The part at the end with ",null))" is adding a null argument and two closing parenthesis on to nothing. Unless I'm missing something? Java written in Kotlin, it pains me to view those code samples XD Guys those slides serve juniors as seniors, I know it's not a kotlin tutorial video but people will be copying this code over and over. Would be nice to make sure it is a nice piece of work. Or write in pseudo code..
damn it, i live in china and google search doesn't exist, hence this whole feature will never work. No wonder I see everyone with money in China buy's an Iphone, google just appears to be not coming anytime soon. Apps should have been integrated in the system this way all along.